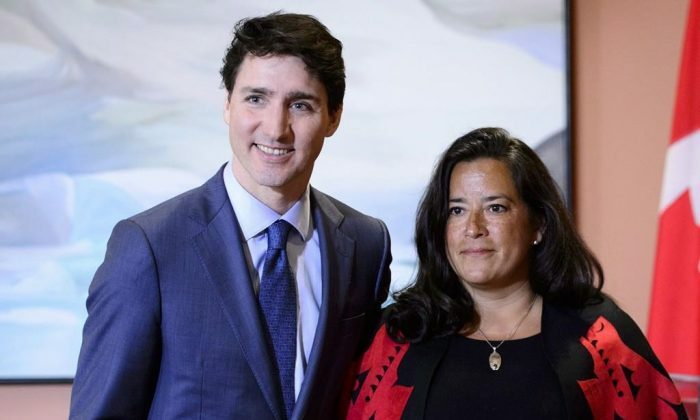 OTTAWA—The Globe and Mail says former justice minister Jody Wilson−Raybould disappointed the Prime Minister’s Office by refusing to help SNC−Lavalin avoid a criminal prosecution. As justice minister, Wilson−Raybould could have gotten involved in the case against the company by directing federal prosecutors to negotiate a “remediation agreement,” a way of undoing damage without admitting the company itself was at fault for things particular employees did. The Globe reports that SNC−Lavalin repeatedly lobbied Justin Trudeau’s aides for a deal and Trudeau’s office leaned on Wilson−Raybould to make it happen. No such agreement was ever reached and Wilson−Raybould was moved to be minister of veterans affairs in a January cabinet shuffle. Neither Trudeau nor Wilson−Raybould nor SNC−Lavalin has immediately responded to questions from The Canadian Press about the story. A majority of Canadians are not satisfied with how Prime Minister Justin Trudeau’s government has handled the deteriorating situation between Ottawa and Beijing.